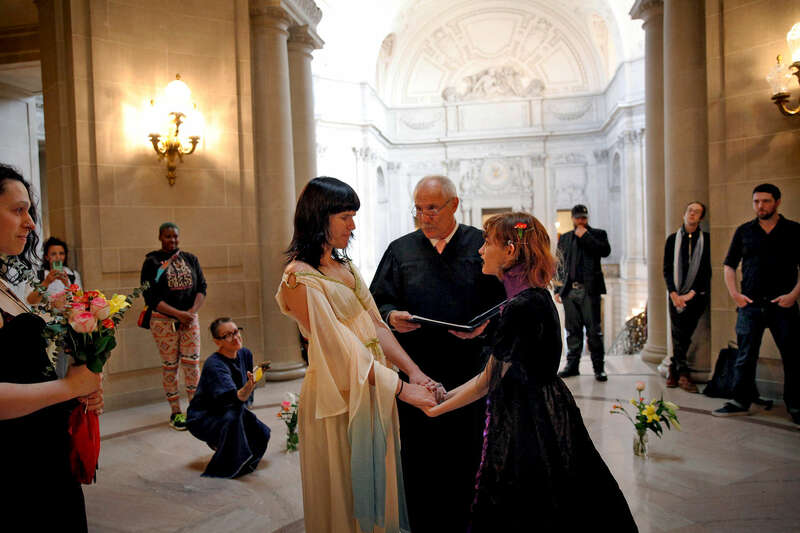 Isabella and Angel Morales get married surrounded by friends at City Hall in San Francisco, Calif., on Wednesday, October 28, 2015. "All her walls came down for a moment and so did mine, to build around each other," Isabella said of the experience. "I realized, at that moment, that I was completed. And it takes a lot for people who are broken and who have been hurt by the wrong people before to feel completed."